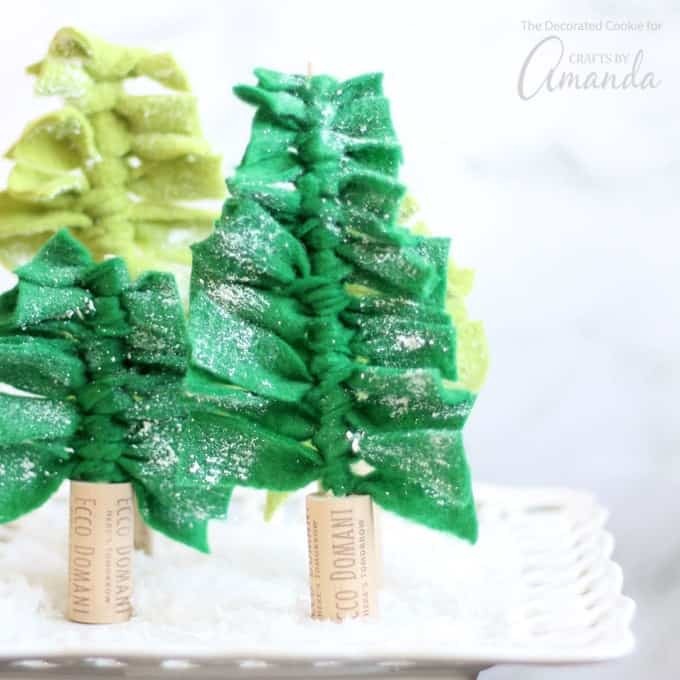 These felt Christmas tree centerpieces are an easy-to-make DIY holiday decoration. 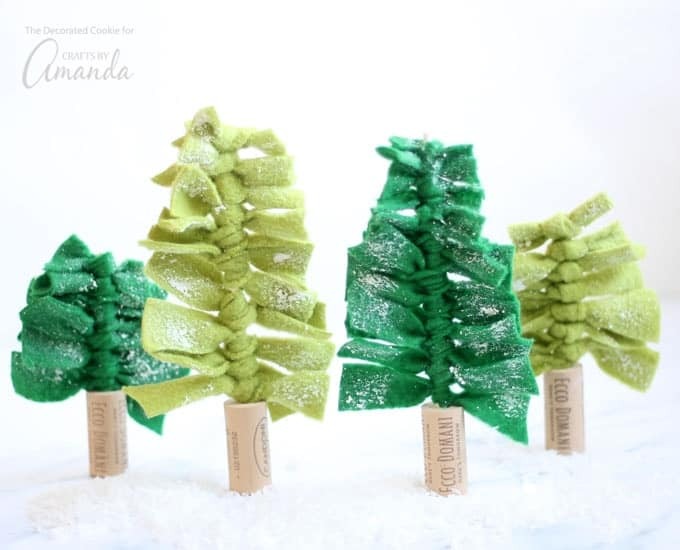 Create a forest of Christmas trees for your holiday table, or decorate your fireplace mantle or shelves. You can even use them individually as gift toppers. 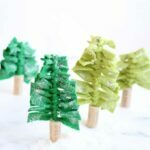 These felt Christmas trees have such a simple, modern feel, and you can make as big or small of a forest as you like. We love these just as much as our Snowman Hat Centerpiece! 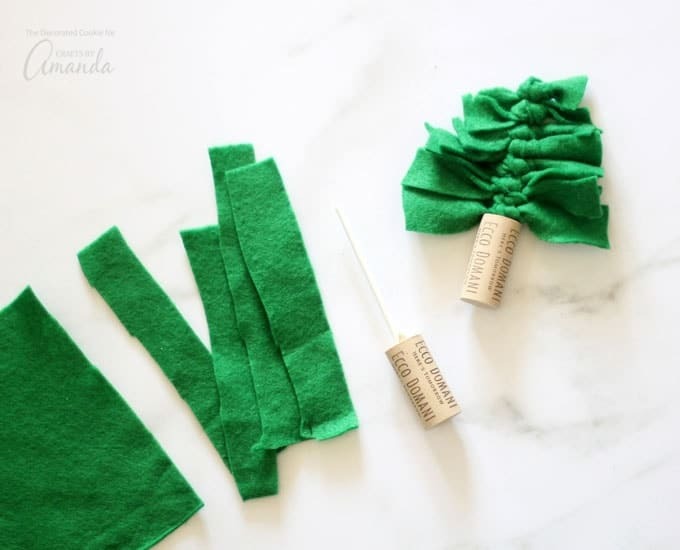 You only need wine corks, lollipop sticks, and green felt, so it’s a budget-friendly Christmas craft as well. Here, I brushed the felt with “Snow-Tex,” a paint that gives a snow-like texture. This step is optional. Cut the green felt into strips of roughly 6-inches by 1-inch. 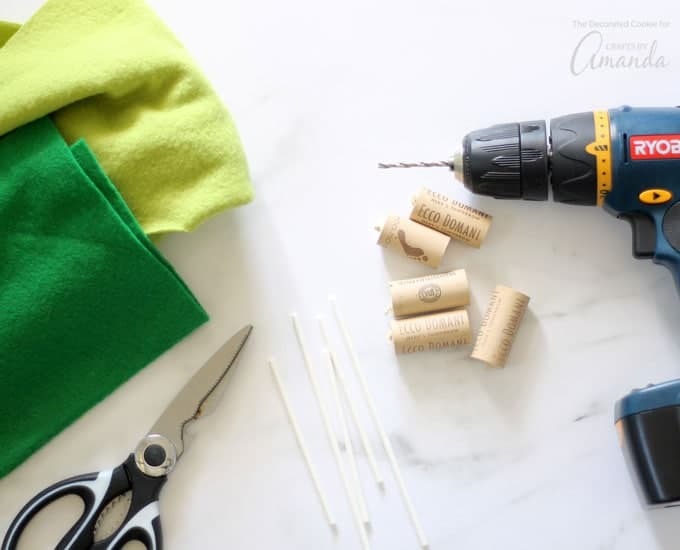 Start at the base and tie a strip around the lollipop stick with a single, tight knot. Fill the stick. Trim the edges of the felt so the felt diminishes in size from bottom to top. If desired, brush some Snow-Tex on the green felt and let dry. 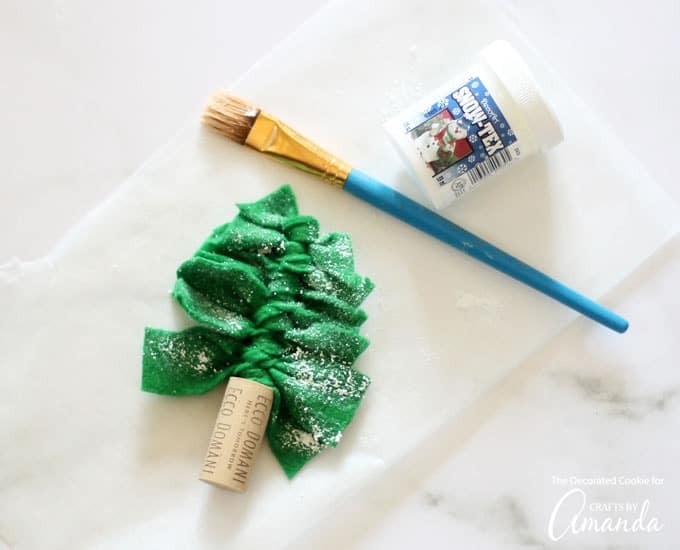 These felt Christmas tree centerpieces are simple to make with just a few, inexpensive supplies (hmm, I seemed to have plenty of wine corks around, too). Craft a whole forest, or just a few. Display them on your table, or anywhere around the house. 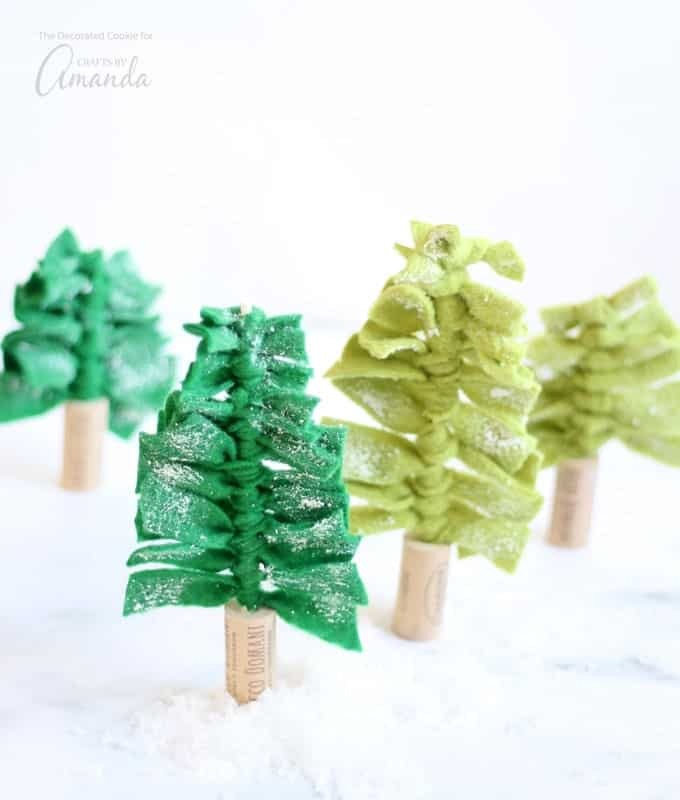 For a different look, try a rainbow of felt colors and glue silver beads to the “trees.” These trees will fit into any holiday scheme you have. We have lots of new and fun ideas up for the holidays, be sure to check them out. Including this adorable and popular Candy Cane Mason Jar Luminary made with glitter and love. Or this homemade Peppermint Bath Salts for the perfect DIY gift idea! 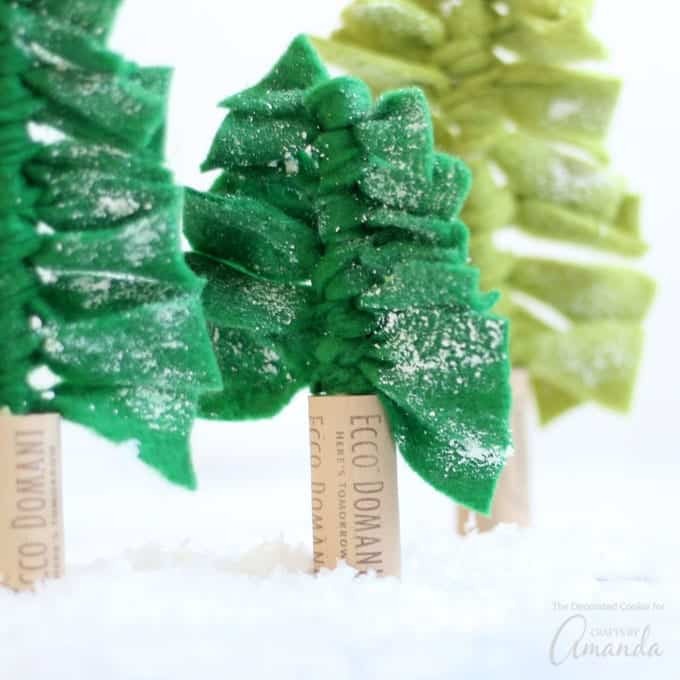 How cute would one of these felt Christmas tree centerpieces be on top of a jar of homemade peppermint bath salts?